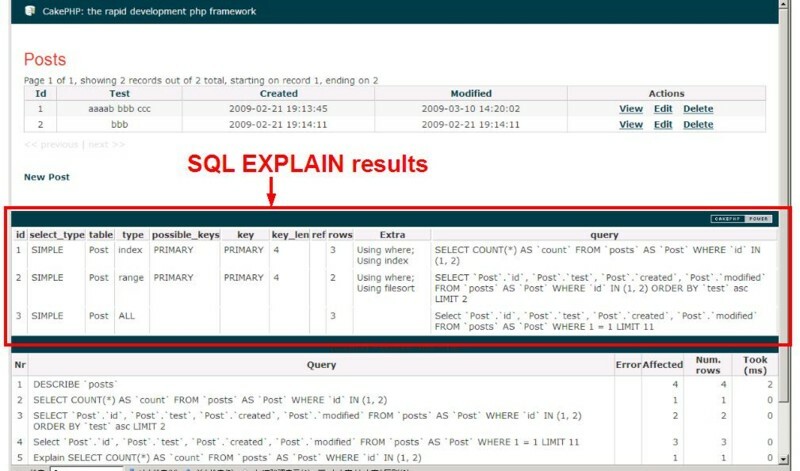 * ExplainSqlComponent - Auto execute SQL Explain and set results in the debug mode. * Use this compnent in afterFilter or afterRender. * Get all SQL query and execute SQL Explain of them without DESCRIBE query. 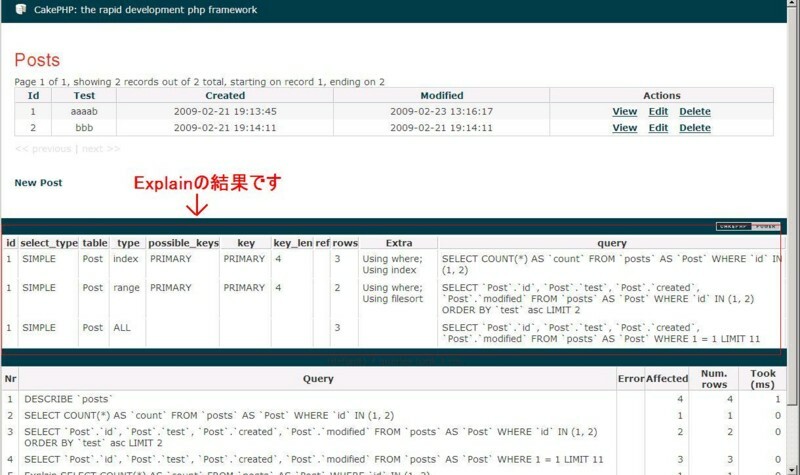 * execute SQL Explain only slow query which are spent over $slowQueryThreshold seconds. 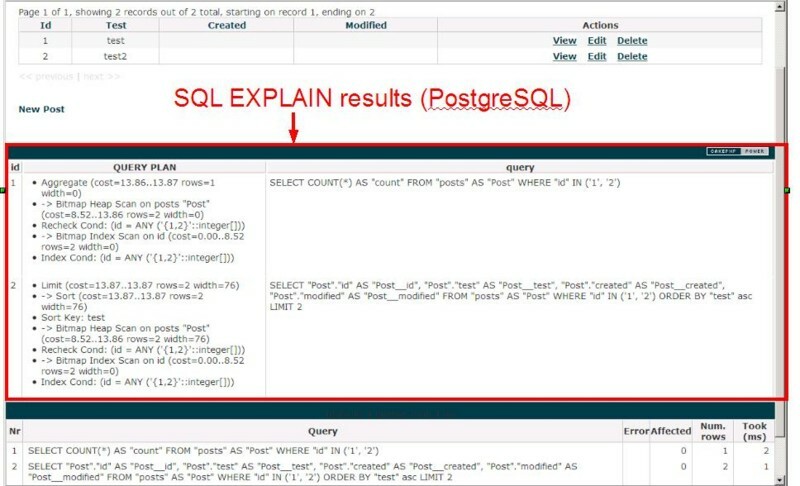 * set SQL Explain results on the controller->output.